Fried Apple Pies + Links to Inspire. If I could, I would ship these out all over the world to you guys. They are seriously that good. I just want everyone to be able to experience them. 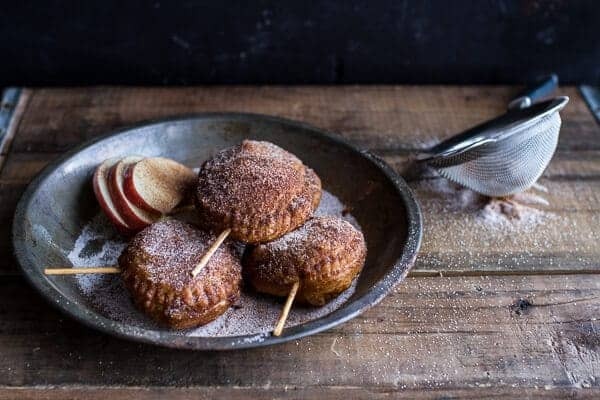 Think about it, caramelized apples inside a fried puff pastry, sprinkled with a heavy amount of cinnamon sugar. If there was ever an apple dessert for you to make guys, this is it. No joking around here. You have to make these. For the full recipe, head over to Food 52. This beyond gorgeous Apple Ginger Cashew Cream Oatmeal. Love cashews. Also, it’s vegan + gluten free. Craziness! Loaded Buffalo Chicken Nachos. Do I even need to say more? How awesome do these Pumpkin Spice Latte Oatmeal Pancakes look? So good. Growing up Cheez-Its were kind of the best, but these Paprika Cheddar Cheese-Its are a million times better. This is perfection: Pumpkin Risotto with Goat Cheese, Pancetta & Thyme. Dying over this Chinese Sausage Carbonara. I mean, best carbonara. These Easy Laminated Nutella Morning Buns. Butter, Nutella, bread? What is not to love? Wishing these Old Fashioned Whole Wheat Apple Pancakes could be breakfast. Love anything old fashion, it’s always better. 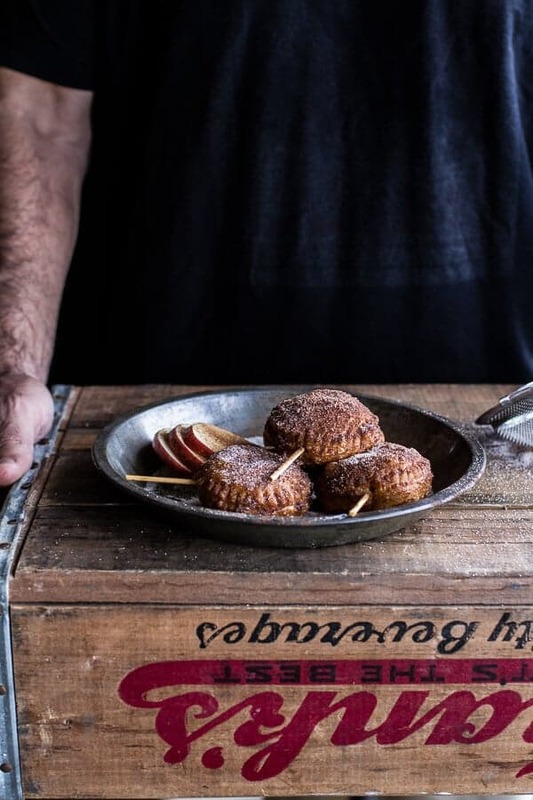 Just look at these Homemade Apple Fritters. I have to make them. Probably today. Are salt and vinegar chips totally your thing? Try this Salt and Vinegar Potato Galette and see what you’ve been missing. Love the looks of the Tandoori Chicken. 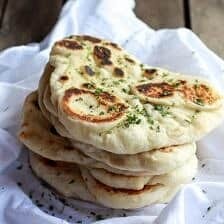 Lets make some naan! 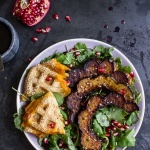 Vegan Baklava Waffles. Love these photos and flavors. Perfect for this time of year! 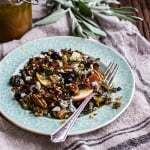 Nuts, Seeds & Grains + Homemade Macadamia Milk. A must read post from the amazing Lindsey . This chocolate Babka has me convinced I need to make chocolate babka. Look at those swirls. This Rosemary Roasted Chicken with Roasted Grapes is a Sunday dinner dream. On the side? Definitely this Pumpkin-Shiitake Risotto with Pine Nuts and Pancetta. 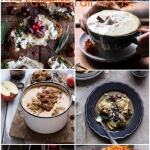 These fall inspired, Photos: Apples galore (scroll down through the post), the prettiest fall leaves and this whole article. Caramelized Brussels Sprout and Bacon Salad with Caramel Apple Vinaigrette, Quick Gumbo with Grilled Corn Grits + Smoky Chilied Brown Butter, Mini Cream Cheese Stuffed Cinnamon Sugar Pumpkin Bagel Poptarts, One-Pot Autumn Herb Roasted Chicken with Butter Toasted Wild Rice Pilaf, Miso Roasted Acorn Squash and Pomegranate Salad and finally Salted Caramel Macha + Nutella Brownies. Don’t forget to check out the fried apple pies here. 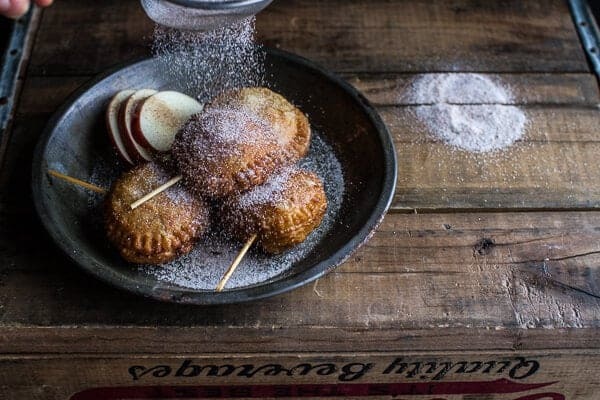 I think pies on a stick have got to be the cutest thing in the whole world…also, thanks for sharing those fun links! Don’t have the pie ingredients but I’m going to have cinnamon toast. These sound just perfect for a chilly fall day. 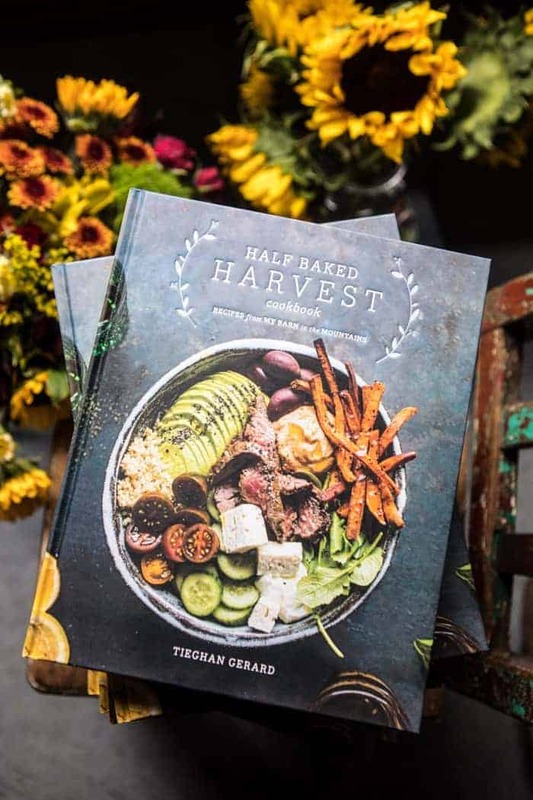 And, you know what, you did kinda “ship these all over the world” to us…we get the fun of putting it all together and the best part of all which is getting cinnamon and apples baking and flour all over the kitchen which brings the kids running in from outside yelling, “Are they ready yet, Mom?” so, thanks Tieghan! Happy Sunday! Wow, just wow. This is why I love visiting your blog! 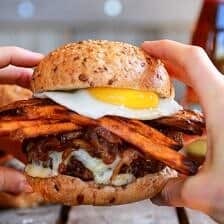 Tons of awesome recipes, and photos so incredible I want to lick my screen. I’m showing these to my husband STAT! Such adorable pies, I love them! 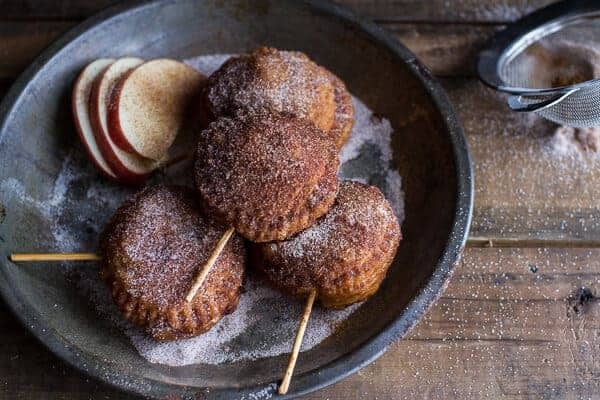 These fried apple pies look fantastic! I wish I could just grab one form the screen! Thank you so much, Lisa! Hope you had a great weekend! Saw these on Food52 and I just died over them. They are adorable. Great links, T! Happy Sunday. these apple pies are insaaaaaane, tieghan! 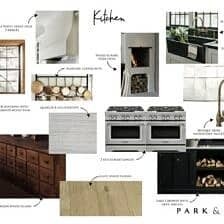 i might need to have another apple picking party so that i can include these 🙂 wonderful links, especially that babka. it has been entirely too long since i had babka. thanks so much for the link love and i hope you’re having a great weekend!! 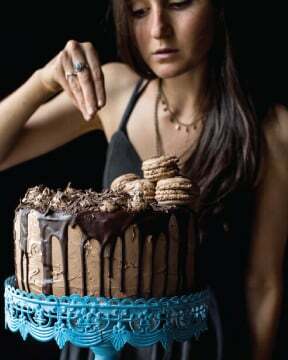 Anyways, I would love to see your take on the recipe =) I’ve been contemplating making it again and was thinking of adding pumpkin chai flavors to the dough base to add some more fall flavor. OH what an interesting idea! I might give it a try. THANKS for the suggestion! 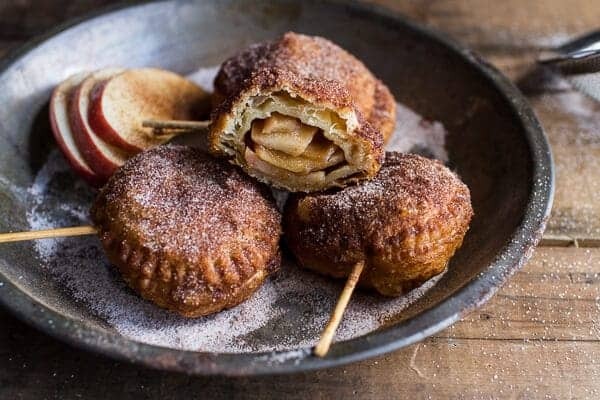 These are the cutest apple pies! I love food on a stick and those links…loving all the pumpkin! Thanks Bri! Food on sticks is always fun! 🙂 Hope you had a great weekend! These apple pies are to die for. 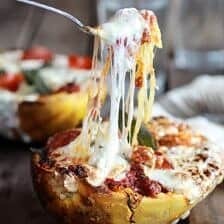 I love the Pumpkin recipe links as well..
YESSSSS these are beyond beautiful. I’ve been wanting to do something fried with apples. I’ll have to find a gf way to make them but these are just perfect as they are.. I have no doubt you will make an incredible GF version. Cannot wait! Tieghan, thank you for the shoutout. 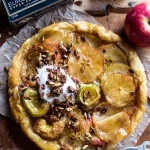 Those apple pies are freaking gorgeous and beautiful photos as always!